The kitchen should be the heart of the home. It is a place that creates food for family dinners. It is a place to gather, to chat, to laugh. As such, the kitchen should be a welcoming, inspiring place. If you feel like you might be time to reno your kitchen, but aren’t quite, sure, here’s an easy checklist of signs that your kitchen is in need of a renovation. When you walk into your kitchen, what do you feel? Are you ready to crack open your cookbooks and try a new recipe? Or will be it be soup and toast for dinner again? You don’t have to be a gourmet chef to feel inspired by your kitchen. But the room should make you want to prepare the next family meal. Your kitchen should be an extension of yourself and it’s tired and worn, then chances are you could be feeling the same way about yourself. If your kitchen is uninspiring, it may be time for a renovation. Is it possible for two people to cook in your kitchen and not get in each other’s way? Or, are you constantly running into open drawers and having to bend around cabinet doors? Does your fridge open smoothly, or is there a too-close cabinet on one side? A poor layout greatly disrupts the flow of the kitchen. If the only storage space is at the top of the cabinets and you’re always having to use a ladder to access anything, then your kitchen really isn’t working for you. It can feel defeating to work with a poor kitchen layout. And even harder to imagine how to change it. A design expert is a valuable tool in this instance. It’s ok to ask for help. Those with design experience can help to reshape your kitchen and offer alternatives that don’t always require the demolition of a wall. A kitchen’s purpose changes with the dynamics of a family. With children, it’s beneficial to have a Tupperware drawer, or two, for easy access. For teenagers, a large, well-stocked pantry is in order. And for empty-nesters, more storage space for dinner parties, or maybe alternately, converted space to a desk or book area. While it’s not practical to complete a full kitchen reno every time your family dynamics change, if your kitchen no longer works for your present circumstances, it’s a good time to think about a renovation. We often let parts of the home get a bit shabbier when there are small kids running around, dropping toys, or making messes. But once you’re out of the toddler stage, it’s a good time to look at your kitchen and create a new mixture of design and function. 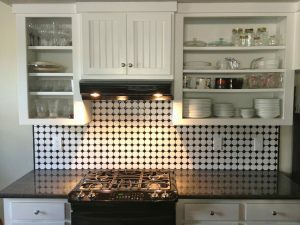 There is so much you can do with kitchen cabinets. These functional spaces should also look good and with a bit of imagination, you can make your kitchen cabinets be a true amalgamation of form and function. You’ve spent a while collecting beautiful plates. You’ve inherited a funky glassware set from your Grandma. Why hide these items behind a piece of wood? Open shelving showcases your prized possessions and gives them new life. While open shelving can be a bit overwhelming for the entire kitchen, even having a few strategically placed shelves can really add depth to the room. Let’s be honest. Not all of your dishware is meant to be on display. Stained coffee cups and chipped bowls are a normal part of the kitchen. It’s ok to keep these behind closed doors. But open shelving is perfect when you have a few pieces you’re really proud of. It also solves the dilemma of not having a china cabinet. Most houses don’t have the room for a stand alone piece of furniture. By bringing this element into your kitchen, you can keep your most important dishware and glassware on display. If you want to display your kitchen possessions but aren’t sure about open shelving, glass cabinets are a happy medium. They still allow you to see what’s in the cabinet but add a bit of a buffer. 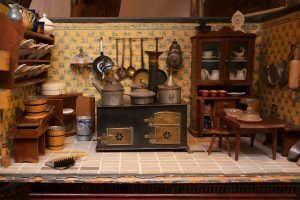 If you have any figurines you want to show off, or even just a nice set of wine glasses, a glass cabinet or two add an extra dimension to the kitchen. Whenever you can incorporate different textures to a room you instantly add depth and personality. Looking to really wow the next guests that walk through your kitchen? Why not install copper-faced cabinets. Ditch the traditional wood and instead use copper. This unique color adds some great depth to the cabinets and definitely brings a wow factor. Copper has long been used as a kitchen accent, including with pots and pans, so it’s natural to extend its use to cabinets. If you’re feeling overwhelmed with the design choices, note that most copper cabinets are actually inlays. They rectangle section of copper is usually encased in a border of wood, which makes the metal blend in a bit better with the rest of the décor. Need storage space but not sure where to find it? How about the kitchen? Traditional kitchens used to leave a gap between the top of cabinets and the ceiling. This space was then either taken up with knick-knacks or dust. Modern kitchens will usually have the top cabinet reach all the way to the ceiling. Ultra modern kitchens will not include a row of small cabinets that reach the ceiling. These small, often square cabinets are the perfect antidote to cabinet doors that have become too long. They close off the top space and make it the perfect area for storage. Deciding on a bathroom reno is a big step. 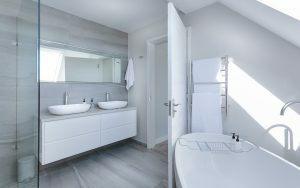 You want to make the most out of your money and your space, so hiring the best bathroom reno company is important. Before you start the process, here are some important details to be aware of. Remember, the better the communication with your reno company, the better your expectations will be. Sometimes a bathroom reno company will have design experts on their staff. Sometimes they won’t. It’s important that you begin your bathroom reno with a design already in mind. Do your research and think about the big picture of the room along with the little designs. But even if your bathroom reno company are experts in design, they will have seen plenty of renovations. Don’t be afraid to pick their brains and ask what they’ve seen that works well, and more importantly, what really doesn’t work. 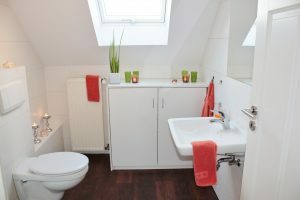 If you have a specific fixture in mind for your bathroom reno, you can supply it. In fact, before you agree on a plan with your bathroom reno company, be sure to go over the materials with them. Who will be supplying what? Keep in mind that whenever the company gets to the specific part of the reno, the materials will need to be there. If you’re in charge of on aspect of the material, and it’s not there, the company may have to move on to meet the schedule. Scheduling a bathroom reno is important. You’ll want it done as soon as possible so as to minimize any disruptions to your life. But keep in mind that your bathroom reno company has other projects they will be working on. Again, communication is key. Talk about when they can start and how long the project will take. Talk about time allowances and what could possibly help speed up the project. Obviously, the price needs to be discussed with hiring a bathroom reno company. But the payment structure should also be discussed. Most companies will allow for partial payment, or holdbacks. This means that payment is due only when certain parts of the project are completed. This protects the homeowner as it means if only demolition has happened, then you only have to pay for demolition. It also works for the reno company. If they aren’t paid along the way, then they won’t keep working. Hiring a bathroom reno company is all about trust. You are entrusting not only your money but your home and as such should expect that the job is completely satisfactorily. Be sure to check out online reviews about a company prior to hiring them. You should also be able to see a catalog of completed projects to see the company’s craftsmanship.